It’s been a few weeks since our last contribution to the Beginner to Blogger series, a collection of interviews where personal finance bloggers share their biggest money lessons learned, favorite items to splurge on, and inspirations for starting a blog. I am a 47-year-old practicing radiologist, which you may have guessed correctly by my moniker, located in the southeast working for a large (and busy) multispecialty outpatient clinic. I’m a divorced father of a 12-year-old girl. They say when you are at the bottom there is nowhere else to go but up. That’s how I felt after I had my finances and emotions gutted with a lengthy, brutal, and highly contested divorce (the senior judge presiding said that it was the worse case of divorce he ever presided over). 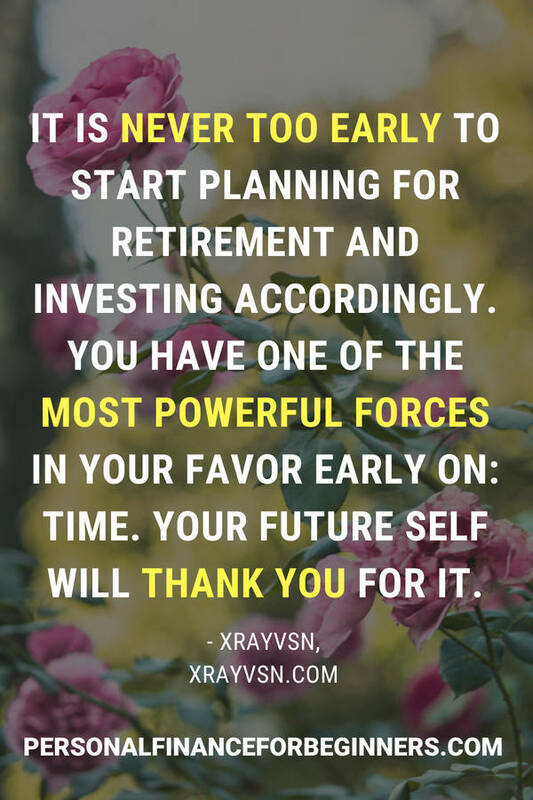 About to turn 40 and having the financial rug pulled out from under me, I knew that if I was going to retire on time – let alone early – I would have no more room for financial mistakes like I had undergone in the past. I started reading blogs on personal finance. In particular, the Bogleheads and White Coat Investor blogs really spoke to me and gave me a blueprint on how to turn my fortunes around. I soon came across the Physician on FIRE blog and began contemplating the possibility of financial independence and early retirement. As a physician, despite years and years of education, I had no exposure to the world of finance. It is therefore understandable that I made a lot of mistakes throughout the course of my career. In fact, I made so many mistakes it ended up being a five-part series that I decided to launch my blog with. As physicians, we have been delaying gratification for years (four years of medical school and then 3-7 years of residency/fellowship depending on specialty). In my personal situation, it was four years of medical school, six years of residency, and one year of fellowship… so essentially 11 years after graduating from college before I could make a substantial income. I didn’t have personal finance blogs advising me to live like a resident and avoid lifestyle creep around back then. So, unfortunately, lifestyle creep hit hard. I bought a new Mercedes before I even became an “attending” (this is someone who has completed residency and practices medicine in a clinic or hospital) as well as buying two houses DURING residency and another one that I bought a few years later after becoming an attending. All of those mistakes pale in comparison to the one I already mentioned: getting a divorce. It was an arranged marriage, and I foolishly went into it blindly. It is of vital importance to have a partner who is on the same financial page as you. I have often told people that if one partner is not on board, you will never make headway on the path to wealth. A colander can never be full no matter how much money you put into it. I improved my situation after the divorce with my crash course in financial education, reading blogs and every book I could find on the subject. I think people put it appropriately that the accumulation phase is the easiest part, it is the de-accumulation phase that needs a lot of skill to negotiate with. I am still trying to find a good solution so that when I do retire early, I can live a full life without ever worrying about running out of money (as well as doing it in the most tax-efficient manner). The biggest obstacle to achieving my “golden retirement” is to figure out how to manage health care costs once I am retired while waiting for Medicare benefits to kick in. This “Danger Zone” of health care coverage period can last a decade or so. As I have a daughter who is about to enter 8th grade, I also want to provide for her college expenses which seem to be rising exponentially these days, and that too has lengthened my path to FIRE. Financial independence to me means freedom. Freedom to do what I want. It can allow me to reduce or completely eliminate my clinical hours. Physician burnout is a popular term these days as physicians have been subjected to decreasing reimbursements through multiple cuts and more and more government regulations. Thus a physician trying to maintain a prior salary is forced to increase the number of patients he or she sees each day. 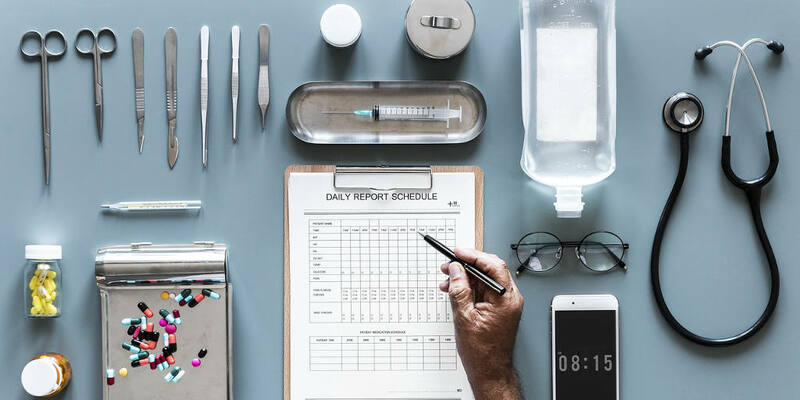 The increased recordkeeping requirements with electronic health records also make a physician feel like he or she is no longer in control and subject to more clerical duties. Because of this, most physicians spend the majority of their time not really treating the patient, which was the main reason for going to medical school in the first place. There was definitely a change in my lifestyle once I started seeing the process work. I think the tipping point for me personally was when the capital I had created started working for me. This allowed me to have multiple sources of passive income. As the passive income grew, I reinvested that money back into the system which continued to grow. In my blog, I wrote a post about this where there is a transformation from laborer to capitalist. When you have your money working for you it is a beautiful thing. In the past I was on the wrong side of the financial equation: being the borrower rather than the lender. Compound interest was a brutal factor back then, but now it works in my favor. As my passive income grew, I was able to comfortable reduce my clinical workload. I currently have someone cover me once a week, and that has made a huge impact on my life, allowing me to recharge my batteries and make the remaining four days more tolerable. That simple move has allowed me to prolong my career much longer as I felt like I was already in the beginning stages of burnout. I would advise them that although their careers are just starting, it is never too early to start planning for retirement and investing accordingly. They have one of the most powerful forces in their favor early on: time. Small contributions early on have a chance to compound over years and decades and can be substantial by the time they are needed. Pay yourself first by starting an automatic investment program that takes the money before it even hits your checkbook. What is a common misconception or belief on money you’d like to warn beginners about? People often assume money solves all issues. If it did we would not have celebrity suicides or other unhappy wealthy people out there (which there are a lot of). Money is a tool that gives you opportunities. It by itself does not bring happiness, but it can buy experiences that make you happy. It is important to make that distinction. Having money will also not magically transform you. If, by nature, you are a pessimistic, miserable person and also broke… Adding zeroes to your net worth will only make you a wealthy miserable person. The decision I felt that really made an impact to financial independence was the decision to diversify my portfolio and invest in real estate. I did not want a second job as a landlord so I had been shying away from real estate even though I knew of its benefits (beneficial tax considerations and offering diversification from the stock market). I did a lot of research and initially invested in a crowdfunding platform. I did not have any issues with crowdfunding and was paid as was promised. I soon came across private syndication deals and specifically one syndicator that invested in multifamily commercial apartments. I felt this was a better fit for me (typically longer hold periods of 7+ years). I have concentrated the past year in investing in this particular sector of real estate and the result has been a substantial passive income stream that provides a floor of income I can rely on (and thus be a little more aggressive in my market portfolio). I already splurged on a vehicle that I had been eyeing on for some time when I bought a new Tesla Model S.
I had been driving the Mercedes for 11 years prior to switching this car and thought I was definitely at a financial stage in my life that I could pay for it without much thought. Now my financial splurges are geared towards experiences. A couple of years ago, I visited Bali and fell in love with that area and culture. I would like to explore similar tropical locales. The Millionaire Next Door is a classic and rightfully so. For physicians, Jim Dahle wrote The White Coat Investor which is a book I feel should be part of every medical school curriculum. I have had colleagues plead with me to start a blog for several years. One, in particular, kept insisting on it almost constantly as he knew how passionate I was about finance… As well as my writing style which he said would go over well with a large audience. My experience with my blog, which only started in April 2018 (I launched it on my 47th birthday), has been absolutely incredible. I have found a community of great friends in the blogosphere who share similar interests and passions. I have also found the blogging community to be supportive and encouraging. Everyone is quick to offer help when you encounter a problem. The blog is definitely not a money-making machine, and with the amount of time I have already put into it, I am making far less than minimum wage, a striking contrast from my primary job. However, there are so many non-monetary rewards that make this a great creative endeavor I hope to continue for the long term. It has given me a creative outlet and has re-ignited a passion for learning as I always want to provide topical information to my readers. It also makes me more observant of the world around me as I am constantly searching for new blog topics. That is a great question (and I may end up pilfering it for my site interviews). With all the time it takes to create a post (that is another thing that I didn’t realize before I started blogging was all the necessary behind-the-scenes work – it takes over four hours for every post I make), it is like asking someone which child would you save. If I had a gun to my head, I would probably pick the post Every Blade of Grass as it was the post that signified me breaking from the chains of debt and finally allowing me to start on my path to financial wealth. I am particularly proud of that as this break from debt came within 4 years of my divorce being finalized. Well, I am a fledgling blogger so I would love your readers to check out my website, hopefully subscribe, and definitely leave a comment! I get a lot of satisfaction reading comments and I respond to every one of them. Glad to have you here to share your experiences, Xrayvsn! Excited to see another personal finance blogger in the physician niche. Readers: For those of you who spent an extended period of time in school, what were your most helpful strategies for keeping expenses low or living on a student budget while in grad school or residency? Appreciate the opportunity for the interview so thank you for having me on. Great interview, divorce can really wreak the finances but at least it was turned into a positive thru a journey to early retirement and a blog. Think of all the great lessons he can now teach to his daughter both about relationships, society’s expectations that are put upon us, and finance.